GRE Test Prep Made Easy - Relax, let’s crack this GRE together! Avail the world’s best GRE Test Prep from the comfort of your home! Does your GRE Score crush your competition? Follow a Study Plan specifically designed for your needs & goals. Experience a course crafted by GRE Experts from Stanford, IITs & more. Ask any number of questions and our experts will quickly clarify them for you. Receive in-depth guidance after every mock test on how to better your performance. We’ll prepare a personalized study plan for you based on how you perform on a 65-minute Diagnostic Test & when you plan to take your GRE. The plan’s daily tasks will guide you to your dream score step-by-step! After every Mock Test, you’ll receive a Personalized Feedback Report on your performance. Get detailed insights on your strengths & weaknesses, mistakes to avoid, and how to improve to achieve your target! 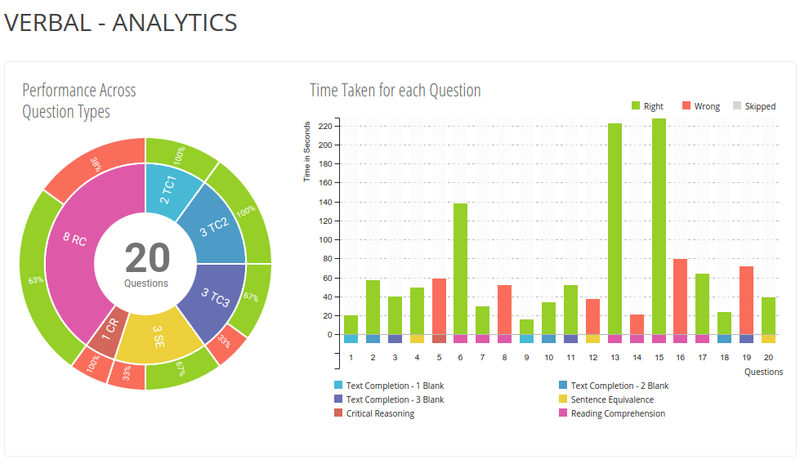 For every assessment you take on our platform, you’ll get to see detailed statistics on your performance – how much time you spent on every question, your accuracy on each question or across question types, and more! Take our series of 5 full-length GRE Tests – complete with Analytical Writing sections and extra un-scored sections in each. By the end of your course with Galvanize, you’ll feel completely prepared for your GRE! We're with you the whole way! 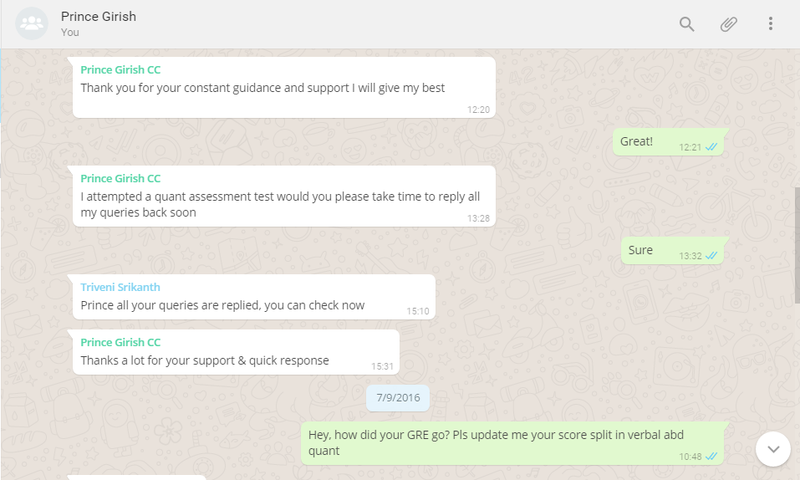 Throughout your GRE Test Prep journey, you’ll have a dedicated Course Manager tracking your progress and giving you an extra push whenever you need it. Reach out whenever you need help or have queries – just one message away, over WhatsApp! We’ll stop bragging. Hear it from our students. Get Started. Act right now!